Outback Jacks’ another Mile Stone! 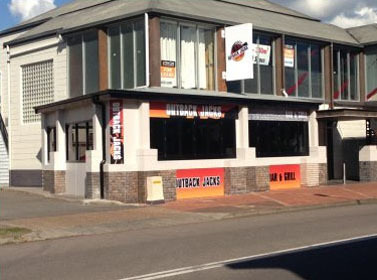 Outback Jacks opened its Maitland restaurant with a bang in a cozy evening of Tuesday the 20th of May 2014. The old Hunter Valley Brewery is now transformed into a world class family steak house with a full service dispensary bar, temperature controlled walk-in wine room, kids’ room packed with fun-filled activities and a menu to die for. This will certainly become an invaluable asset to the community. To provide you with more secure and private space, we’ve even transformed the previous alfresco space into a proper restaurant area. Plenty of easy parking across the road or by the cinemas next door. So, please visit us and make this great Australian concept an ongoing success story. We look forward to seeing you here over and again!